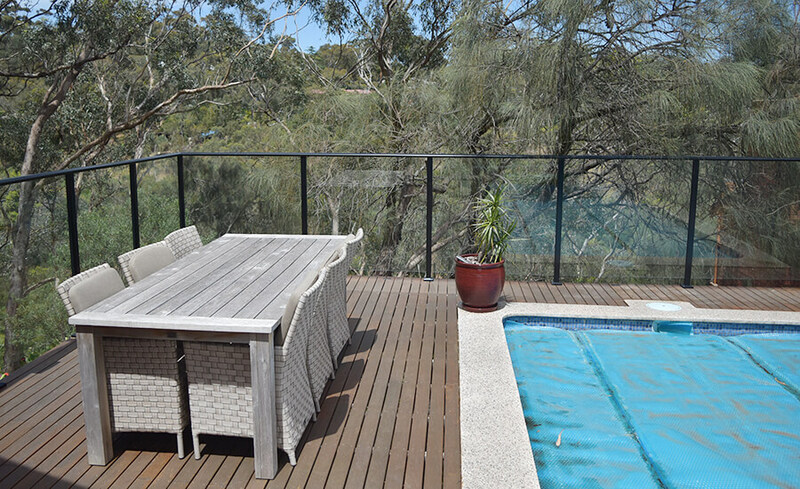 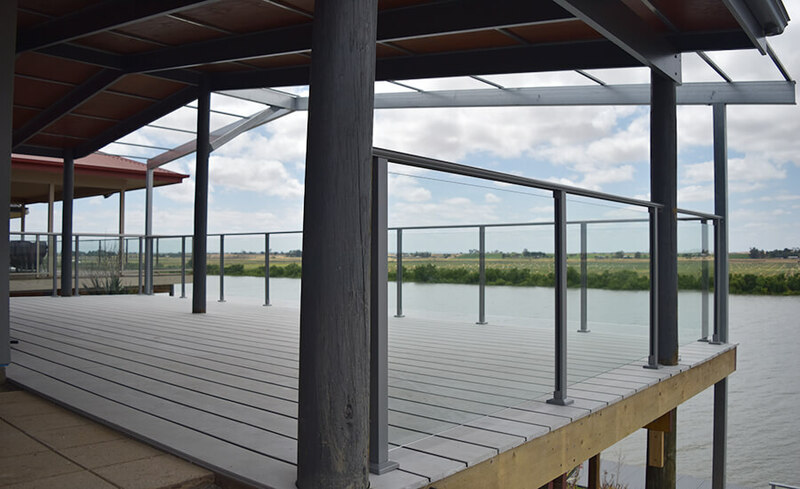 Our semi-frameless glass balustrades are the ultimate in glass balustrades, giving you exclusive style, quality, uninterrupted views, also adding value and safety to your entertainment area, veranda, deck or retaining wall. This option is for decks, verandas or retaining walls, anything with a fall over 1000mm and is required to have a handrail to comply with new structural regulations. 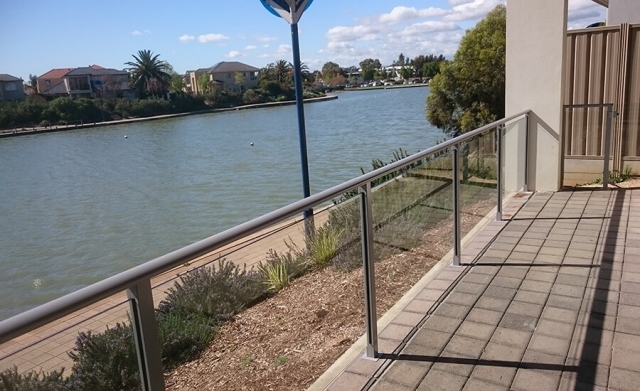 We have a range of sleek and stylish handrail systems to choose from for any application. 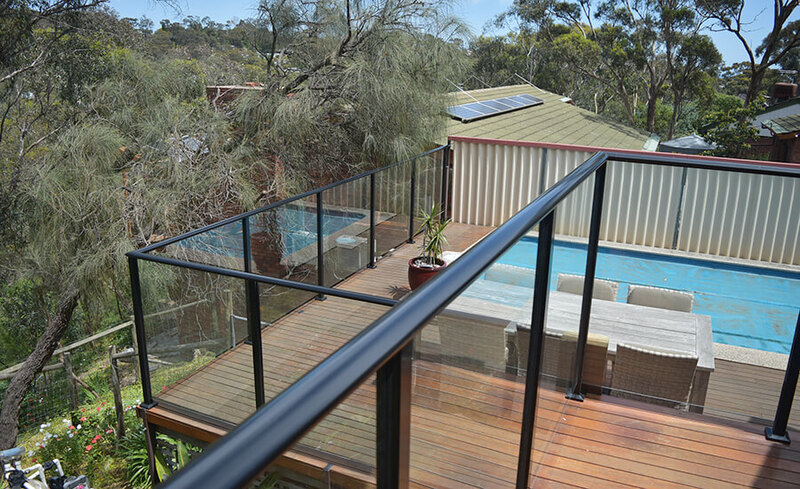 We use 10mm thick toughened safety glass with polished and beveled edges. 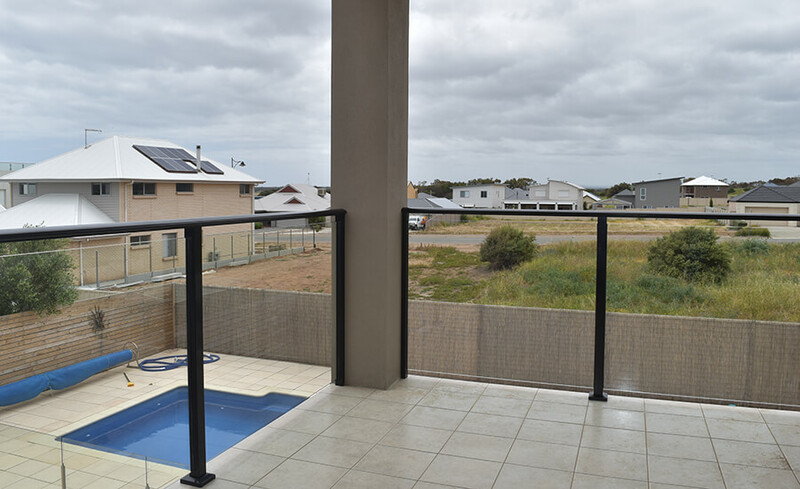 The glass is all engineered and designed to meet all Australian standards. 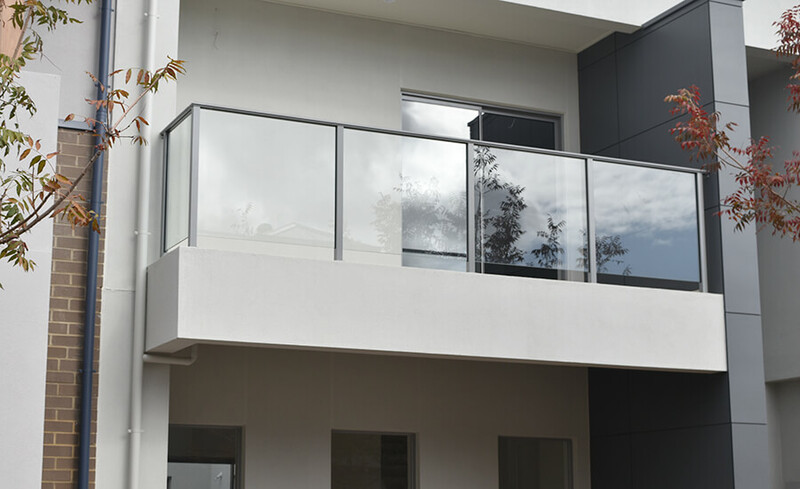 Due to the unique assembly and installation process of the system there are no visible fixings or weld marks. The use of low maintenance aluminium and stainless steel fixings ensures that our balustrades will look good and protect family and friends for years to come. 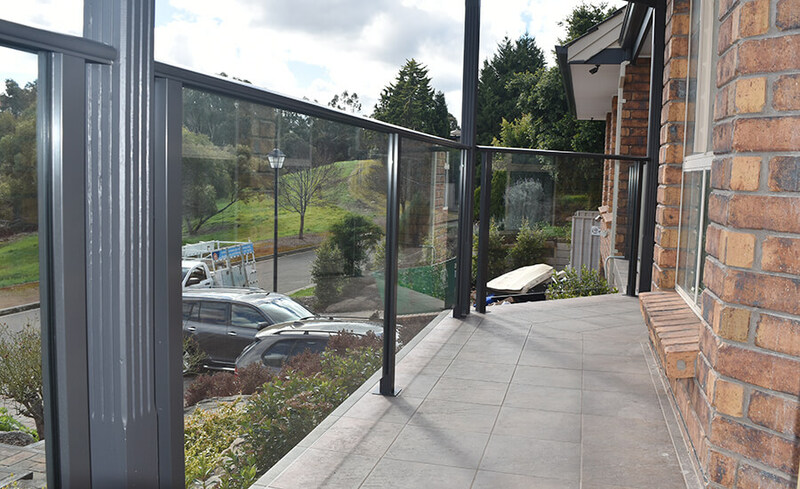 With the wide range of powder coating finishes and glass options, our range of balustrades can complement any home or business. 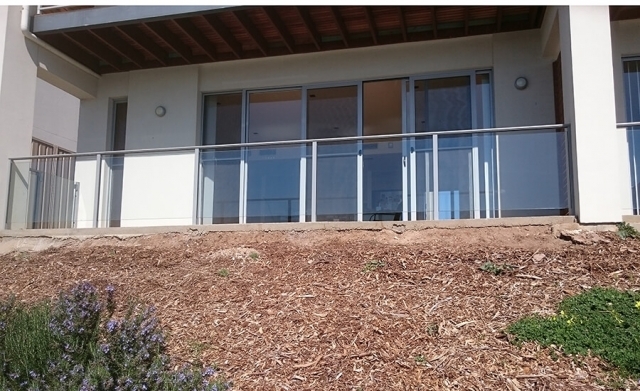 We can also custom tailor glass, handrail and fittings to suit any application. Glass is 10mm thick toughened, heat soaked safety glass, also to Australian standards. If you would like more information on what we can offer you for your balustrades then view some of our photos below or contact us today and we can give you a free quotation.